The buzz surrounding San Antonio’s Hacienda may signal a rebirth of young rock n’ roll -with emphasis on the “roll”- to the country’s landscape. Formed by cousins Abraham Villanueva (piano/vocals) and Dante Schwebel (guitar/vocals), together with Abraham’s brothers Jaime (drums/vocals) and Rene Villanueva (bass/vocals), this Mexican-American quartet blends a raw yet sophisticated style of pop music with harmonies reminiscent of the Beatles and Beach Boys. As fate would have it, a demo of 6 songs landed in the hands of Dan Auerbach of the Black Keys, and the band’s life was forever changed. Soon after they were opening for The Black Keys in Austin Texas, as well as for Dr. Dog, gaining some much needed exposure. Under Auerbach’s watch, Hacienda would write and arrange more than twenty songs, sending him demos periodically in preparation for their debut album, ultimately recording in Dan’s own studio in Akron, Ohio. Hacienda has released two full-lengths since that time–LOUD IS THE NIGHT and BIG RED & BARBACOA–to great critical acclaim. 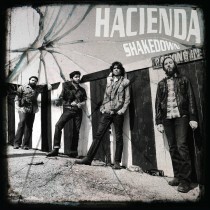 Hacienda recently finished tracking songs for their next album with Dan Auerbach, which will be released on June 19, 2012 by Dine Alone Records in Canada. 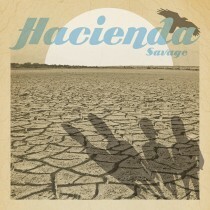 The band’s first single, “Savage,” has already picked up nods from the likes of Rolling Stone Magazine, Spinner, and more. The band has recently toured with The Greenhornes, The Black Keys, Dr. Dog, Grace Potter & The Nocturnals, Alberta Cross and My Morning Jacket. Hacienda also toured as Dan Auerbach’s backing band, The Fast Five, on his 2009 solo project and will be performing on several of the Daytrotter Barnstormer 5 dates later this month and in early September, alongside White Rabbits, Doug Paisley, Princeton, and Wildlife.